Cornbread is just one of those things you can add almost anything to and it comes out delicious. 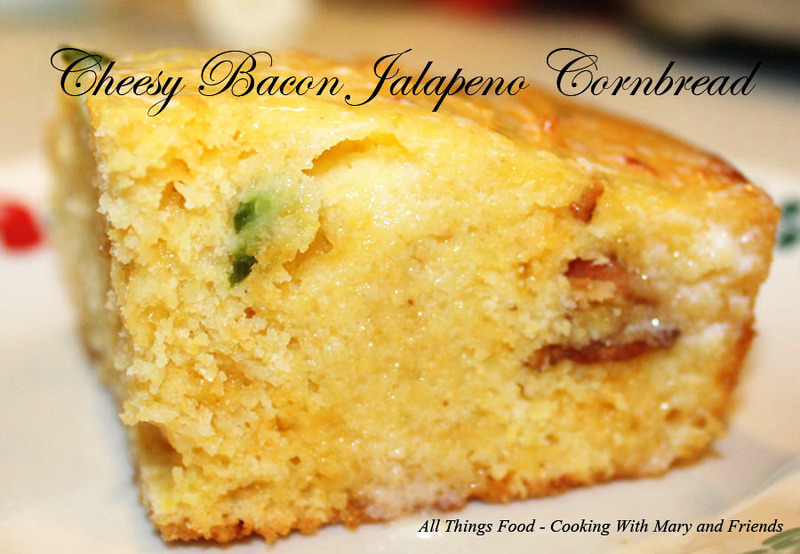 All by itself, with cheese, corn, jalapeno pepper slices, bacon ... you name it. 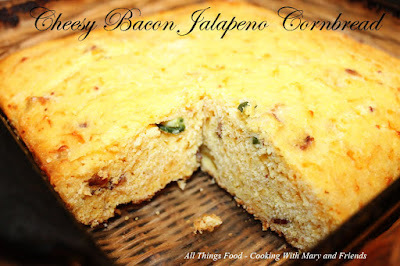 I love it plain, with butter, but also love to "spice it up" from time to time. 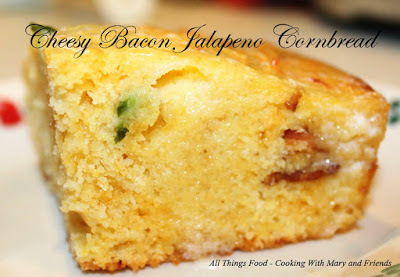 This Cheesy Bacon Jalapeno Cornbread is awesome served with a nice bowl of chili! Preheat oven to 400 degrees. Mix all ingredients together in a large mixing bowl. Pour batter into cast iron pan, or square 9 x 9-inch baking dish, sprayed with baking spray. Bake in preheated oven 20-25 minutes or until golden brown. Brush top with melted butter. Cut and serve immediately with more butter.